Follow along as we watch the Oscars tonight, and chime in with your thoughts about the fashion, the hosts and the winners. The Oscar goes to... Gravity, yet again! Gravity wins its fourth Oscar of the evening! Whoopi Goldberg is on stage now, showing off her Wizard Of Oz style ruby slippers with a pair of stripy tights! Pink is the next star turn of the evening, singing Somewhere Over The Rainbow while footage of the Wizard Of Oz is shown on stage. She's looking very sparkly in a red, low cut gown. 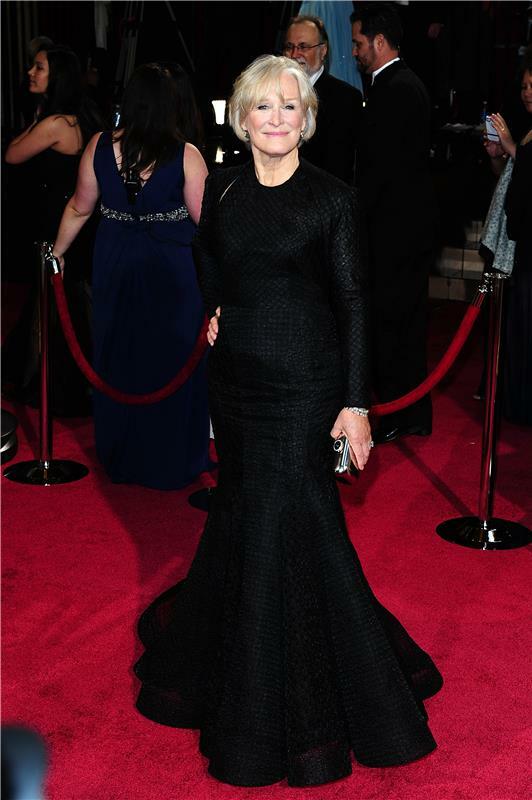 Did you spot Glenn Close on the red carpet? The shape of the dress is striking, but it's so dark she's fading into the background a little. 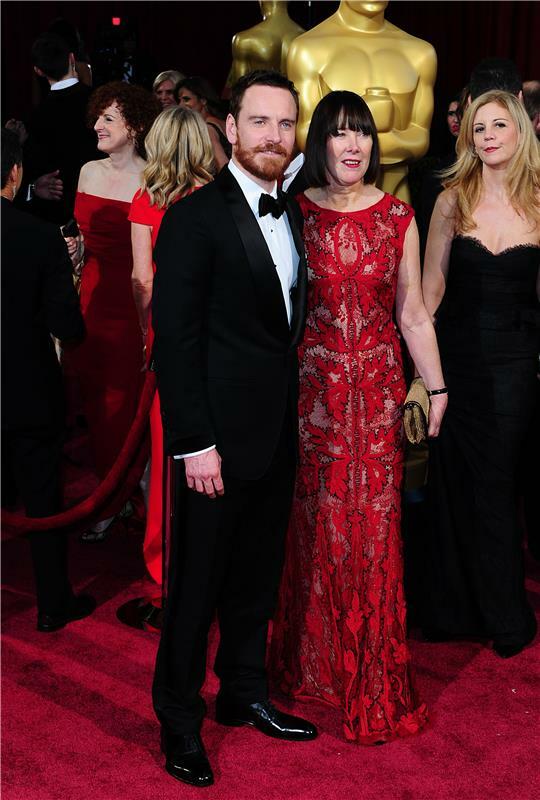 Michael Fassbender was showing off some new facial hair tonight. Ellen's had another outfit change. This time to a fairy princess dress. The Great Gatsby wins for the second time tonight! Catherine Martin collects her fourth Oscar. Chris Evans (not that one) is looking at a montage about popular heroes. In case you're wondering, the most Oscars won by a single film is 11 - a feat achieved by Ben Hur, Titanic and The Lord Of The Rings: The Return Of The King. The Return Of The King is the only one to have won every Oscar it was nominated for. Goldie Hawn is explaining more about some of the Best Picture nominees, Philomena (the real one looking very shocked when she realised Goldie was talking about her), Captain Phillips and 12 Years A Slave. Idina Menzel is performing another of the Oscar nominees for Original Song, Let It Go from Frozen. And the winner is... 12 Years A Slave! The film's second win of the night. And the Oscar goes to... Her! Just the big 4 still to go - Best Picture, Leading Actor, Leading Actress, and Director.